What is the Halloween Candy Buyback? Buybacks are held at local businesses, traditionally but not limited to dental offices. With the goal of removing excess Halloween candy from kids while supporting our troops, the Buyback is a great platform to help multiple causes while promoting your business! 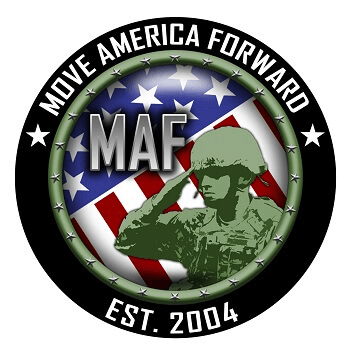 Register your Buyback event with Move America Forward, our organization distribution partner! This is required for any Buyback event that plans to ship through our non-profit distribution partner. Search for a Buyback event near you! Our Veteran's organization will reach out directly and advise you of your nearest shipping center. ZIP code registration tech support can be addressed at hcbb13@gmail.com. If you want to donate to a local buyback event, use our ZIP search at the top of the page to find a participant near you! If you aren't hosting a buyback event and can't find a participant near you, please fill out our Veteran's Organization donation form, to ship directly, and a Veteran's Organization representative will contact you for your best shipping method. 2017 Halloween Candy Buyback Promotional Flyer, CLICK HERE.